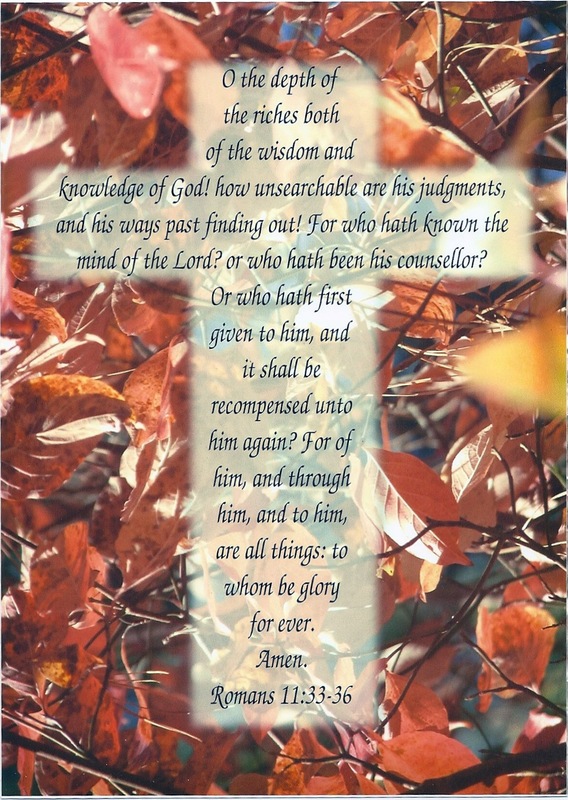 Paul’s Letter to the Romans – God's Grace ~ God's Glory! 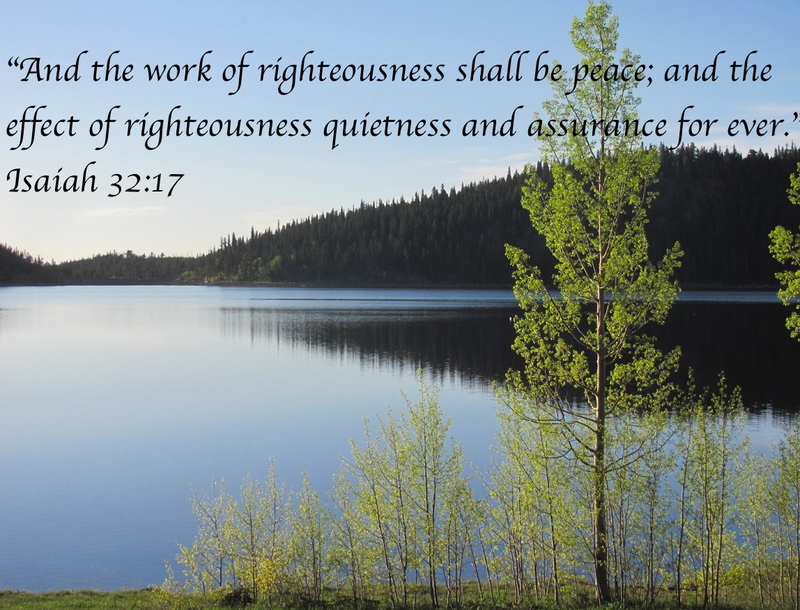 What is a reasonable response to the pouring out of God’s mercy upon this human race? The apostle Paul in his letter to the Romans brings us through eleven chapters and shows us how God, by His own grace, evokes a sacrifice from us. We have learned that the power of the gospel is able to effectually bring about the obedience of faith in those to whom God reveals Himself and His Word, those whom He has chosen. 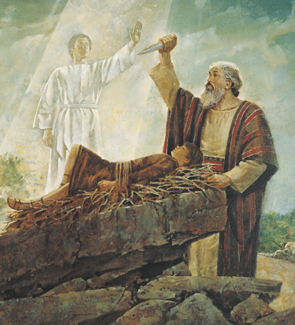 Just as Abraham, by believing God’s word, in obedience offered his only son as a sacrifice, so, we, sought by His mercy, cannot resist but willingly, offer our own bodies as living sacrifices. This is the power of the gospel that he mentioned in chapter one ~ God’s own power, through His Word and Spirit ~ to save a people for Himself and His eternal kingdom that is being prepared for those of His household of faith. He has spoken of justification, through the only just one, who is the justifier. In chapter eleven, He ends His presentation of God’s work through Jesus Christ, His Son, and the Holy Spirit’s working through His mercy. Now that His mercy is revealed, we are called to respond. The command is two-fold ~ a negative and a positive. Where there is a negative, it is so He will be revealed as working the positive. “Do not be conformed to this world.” This is what we were being, naturally. The negative is what we normally do. From the time of birth into this world, we are being conformed to it. Here, then is where we see the difference that His power of the gospel makes. “But, be transformed by the renewing of your mind.” He does not command something that is not possible. His commands are promises of what He will do. By His mercy, we are brought from being conformed to the world naturally, to being transformed supernaturally, by the renewing of our minds. How? Through the same power of His Word and Spirit as He saves us in faith, and calls us to obedience in Christ. The gospel that justifies us is the same gospel that sanctifies us and is preparing us for His glory ~ the same power that will bring us to glorification. As the power of the gospel has worked to justify us, this is our only reasonable worship in response to His great mercy. This is the work of His Spirit in our hearts, through the power of His Word and Spirit. It corresponds to the work in every heart that is turned to Christ. To offer our bodies as living sacrifices is the offset of His sacrifice for us. He died for us that we may live for Him. Each of us, with whatever measure of grace He gives, brings it together with all others, as one body of Christ, so that we are offering what He has separated unto Himself, in obedience and sanctification, willfully becoming that noble vessel for His use. We lose ourselves and become one with His people wherever He calls us to serve and worship Him. The gospel of our Lord Jesus Christ is totally different than any other religion on earth. Unlike other religions that take other lives and die in the process, themselves, Christ enables us to live victoriously and to seek to save others. Father, we are not our own. You have bought us with the price of your precious Son, Jesus Christ. Enable us to daily offer to you what you have sanctified for yourself, so that you may reveal the power of the gospel to others. In Jesus’ name I pray. Amen.